Those iguanas won’t stick themselves, y’know. There’s still plenty of prep to be done ahead of Wasteland 2’s full launch, and Steam Early Access has got nothing to do with it. In fact, ye olde discs are to blame. InXile have long since shipped Kickstarter rewards out to backers. But pre-orders of Wasteland 2’s boxed collector’s editions entitle players to trinkets including a cloth map, instruction book, figurine and faction badge. Buyers of the $250 edition will also have their copy of the game autographed by key developers. It’s fulfillment of delivery on these physical goods, as well as the discs, that’s causing the minor hold-up. 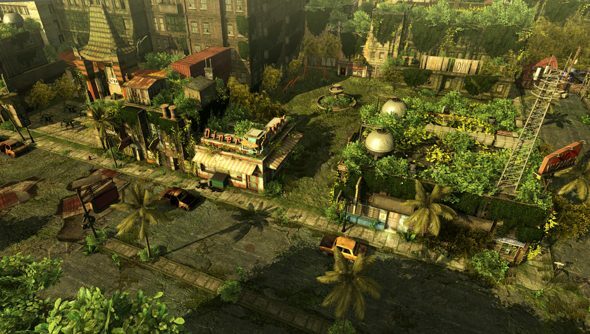 Wasteland 2 was originally expected in August – InXile had intended to begin printing discs at the end of July. As it stands, a new Wasteland 2 beta update has ensured loot is balanced and satisfying whether it’s sourced from quests, enemies, NPCs or inanimate objects. Are you the type to mess with NPCs? Last night in Divinity: Original Sin, I murdered a man in his bedroom without anybody noticing. I’m not proud. Okay, a bit proud.